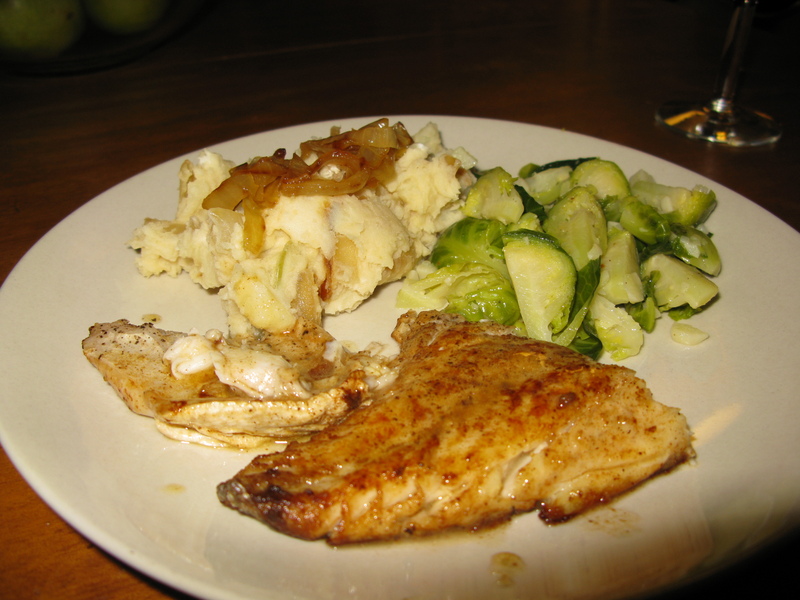 So, from the last batch of groceries that we posted, we had rockfish (also known as stripped bass). I like fish cooked very simply: lemon juice plus salt & pepper, and then, either grill it and pour some olive oil on top, or fried in a bit of butter. This time, I went the butter route. After pan frying the fish, I removed it from the pan, and added a bit of lemon juice and white wine to the butter, and it made for a great sauce. 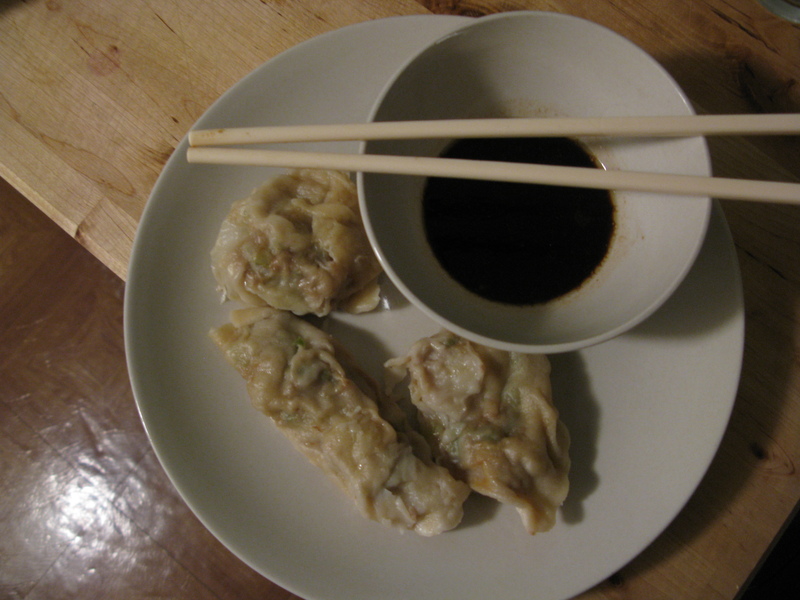 We also had ground pork and the following week we received some cabbage, so Jeff went to work and made pork dumplings. They are really good, but it did take him a whole afternoon and he seemed a bit distressed by the end (as in “I’ll never do this again”). I’ll let him tell you about it himself.